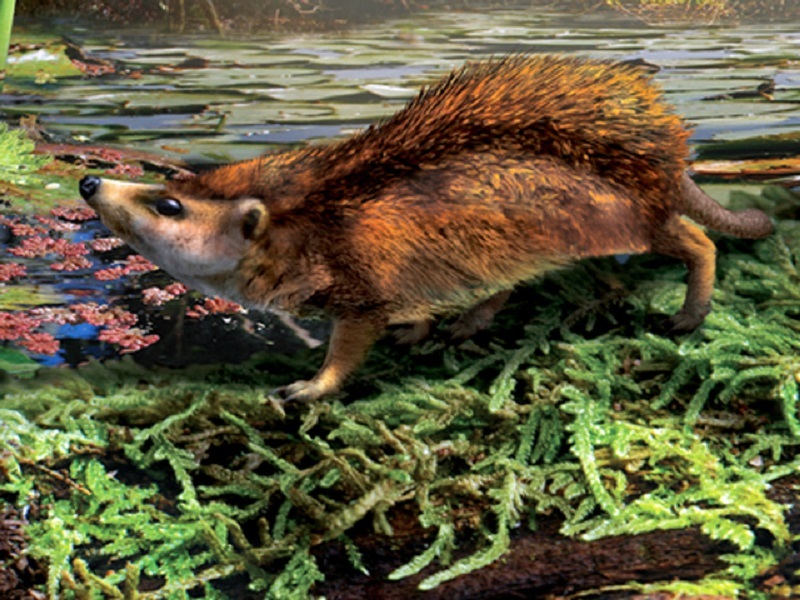 Researchers have discovered a fossil of the world’s tiniest hedgehog. Only about the size of a modern day shrew, the mammal lived around 52 millions years ago in a rainforest in what is now called British Columbia. The newly found hedgehog was so small that scientists discovered it completely by accident. The researchers were looking for plant fossils in Driftwood Canyon Provincial Park when they cracked open a rock and found a tiny skeleton. “When they looked at it under a hand lens, they realized it was a fossil vertebrate,” said study researcher Jaelyn Eberle, the curator of fossil vertebrates at the University of Colorado Museum of Natural History. “It was just kind of, ‘Whoa, not expected,'” Eberle added. The tiny hedgehog would have been only around 2 inches long, and would have had teeny 0.04 inch teeth. The researchers decided to call it Silvacola acares, or “tiny forest dweller.” Compared to modern hedgehogs, the ancient hedgehog was incredibly small, and probably incredibly cute. “Today’s hedgehogs that are kept as pets are considerably larger. The smallest hedgehogs are about 10-15cm long, not including the tail,” said Eberle. The researchers reported their findings on July 8th in the Journal of Vertebrate Paleontology.